When pairing two bright colors together, like hot pink and royal blue in this case, because I think it balances out the best. I chose to keep the other accessories trendy yet neutral, allowing the purse to do all the talking. 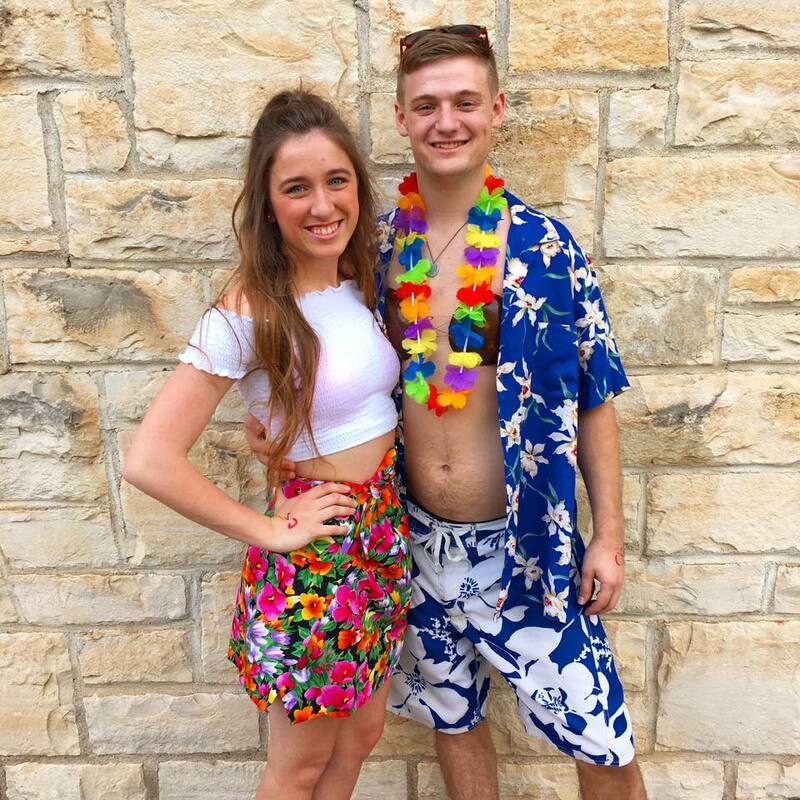 Yesterday was officially my last day of my freshman year of college, and I was able to celebrate that night with my sorority's last date party of the year, Aloha Xi Delta. It was so much fun to have one last hoorah in Manhattan with my sisters before the summer break since I'm going home Wednesday. You want to know something crazy though?! 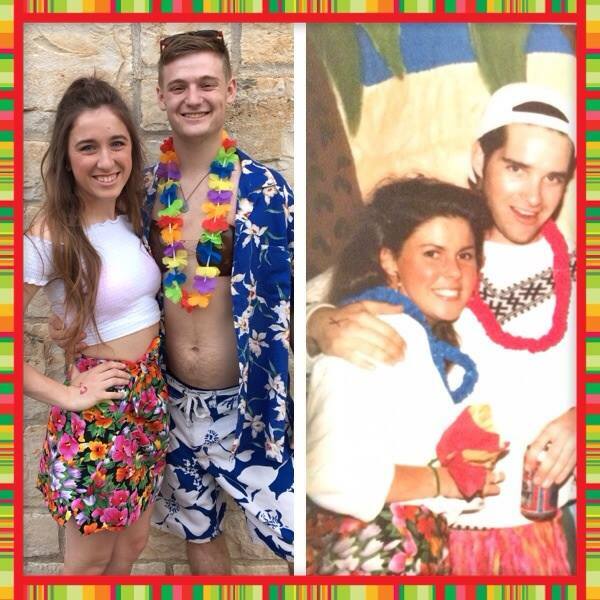 My mom wore the exact same skirt I wore last night to an Alpha Xi date party back in college too! Check it out below! Loving the title of this post. 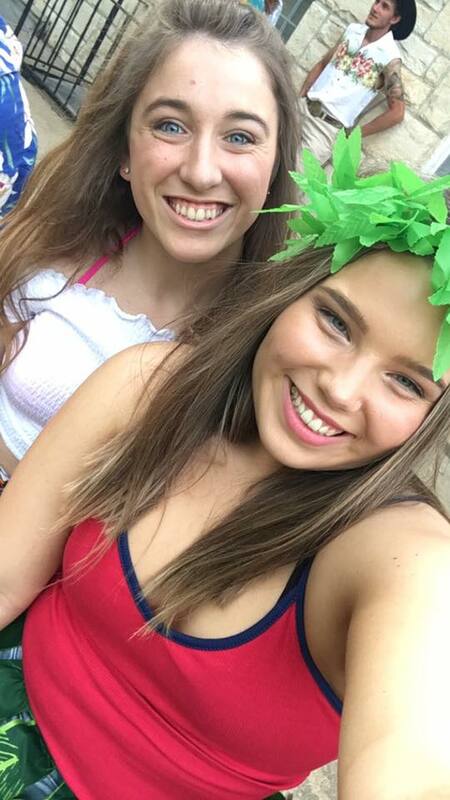 Congrats on finishing college!